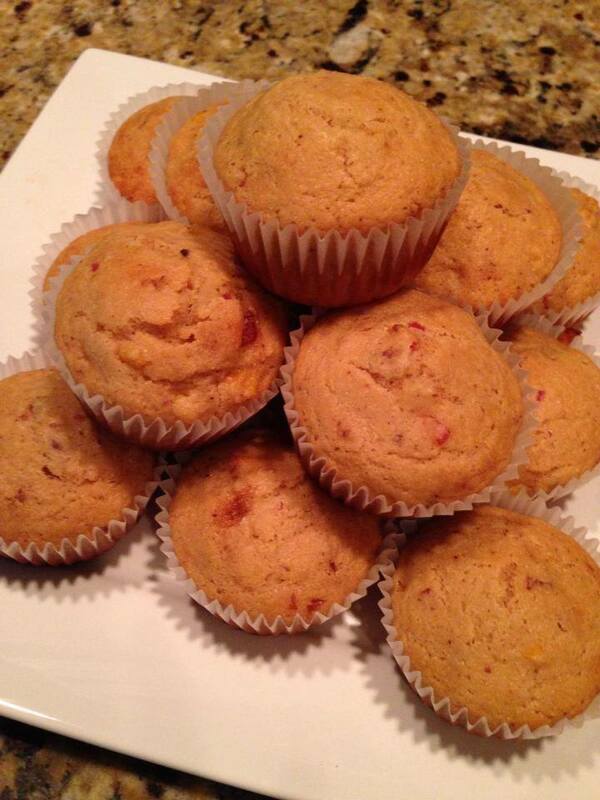 Everything is better with bacon, including cornbread! Like guacamole, I never particularly liked cornbread until I started making my own. I think it’s a textural thing. As I started to taste various types of cornbread, I realized I definitely prefer sweeter recipes over the more savory ones, but few versions were anything I actually craved. Thankfully, my husband and I are cornbread compatible! In fact, I owe the success of this recipe to that wonderful man of mine. I asked him to pick up some cornmeal since I was running low and he came back with ground cornmeal. Switching the dry mix from a combination of flour and cornmeal to flour, cornmeal, and ground cornmeal finally got me to the exact texture I was looking for. I frequently make these without the candied bacon, since the bacon addition adds prep work that I don’t always have time for. But there are times when I just can’t say no to bacon! Everything is better with bacon, including cornbread! If for some reason you don't agree, then feel free to omit it. I've made these both ways with (almost) equally delicious results.